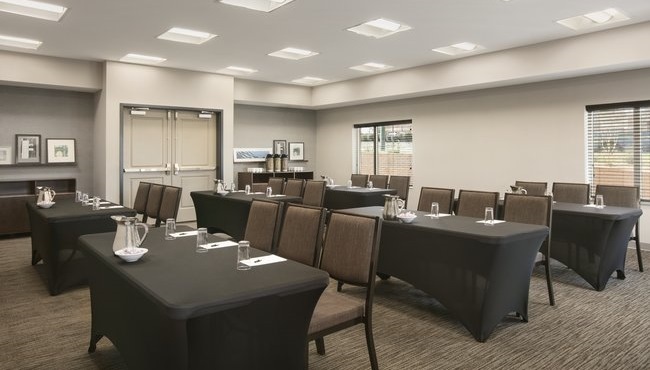 Located on Route 29 off I-64, the Country Inn & Suites, Charlottesville-UVA is perfectly positioned to host business meetings and social events. Invite up to 50 guests for seminars, reunions or birthday parties inside our 700-square-foot Jefferson Meeting Room. Giving a presentation? The venue includes free high-speed Internet access, and you can ask about our audiovisual equipment rentals. Your guests will appreciate our location just three miles from downtown and seven miles from Charlottesville Albemarle Airport (CHO).